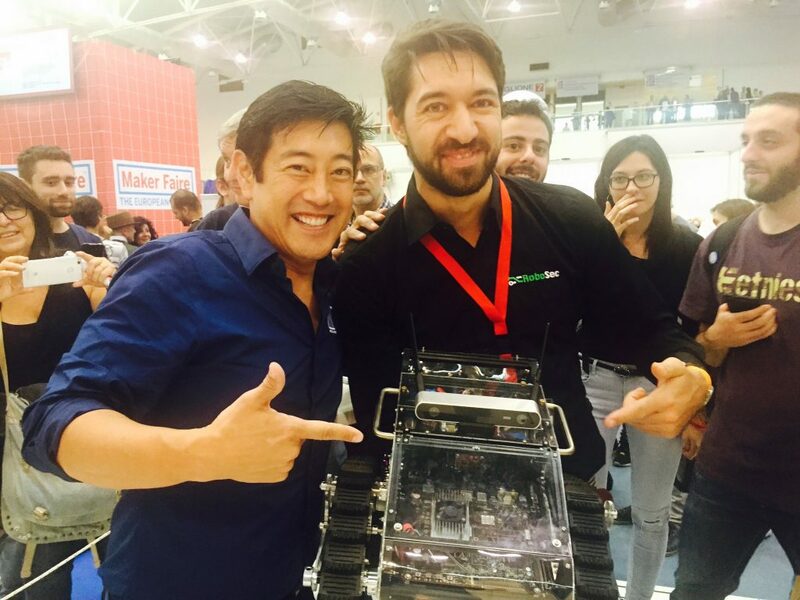 Grant Imahara, Panther and Raffaelo. 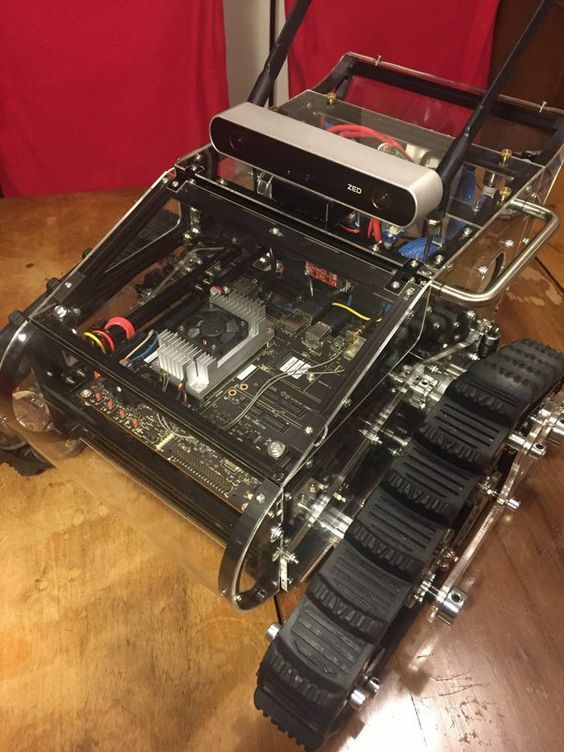 Panther’s heartbeat consists of NVDIA Jetson TX, ZED stereolabs camera and µNav motor control board. Update: @Raffaello86 travelled around with Panther. 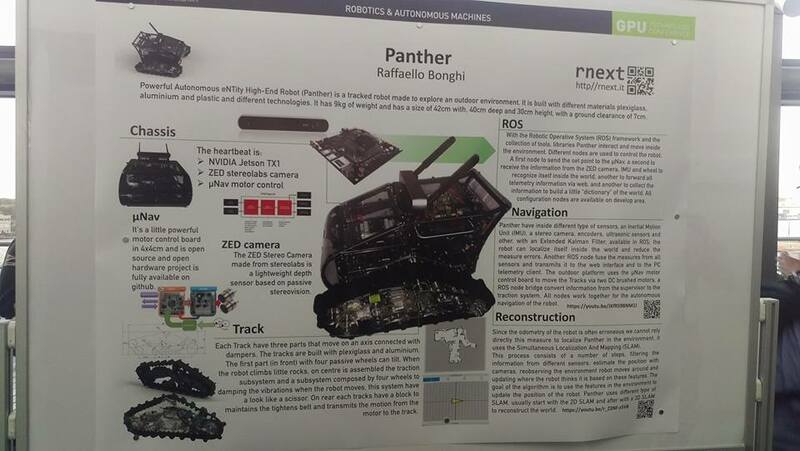 Raffaello and his Powerful Autonomous eNTity High-End Robot were present at MakerFaire Tokyo in August and there was a poster presentation of PANTHER closer to our home. In September the GPU Technology Conference was held (GTCEU16) in Amsterdam. 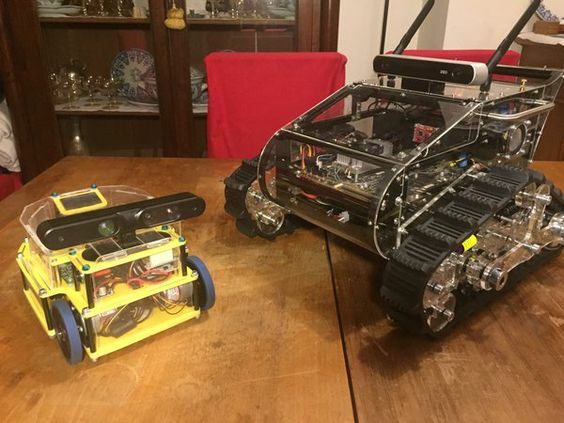 Close to Raffaelo’s home he presented Panther at MakerFaire Rome where he met met Grant Imahar (Mythbusters). 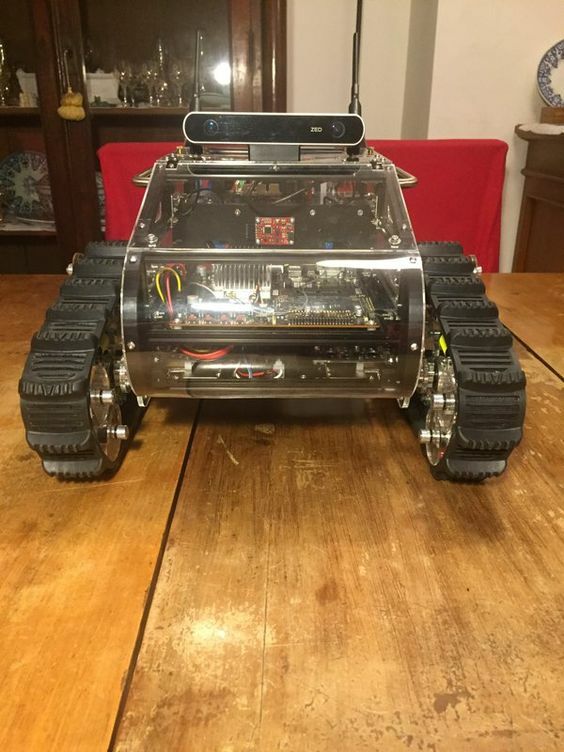 We received great pictures through Twitter (@makerbeam) about a really nice robotics project from @Raffaello86. 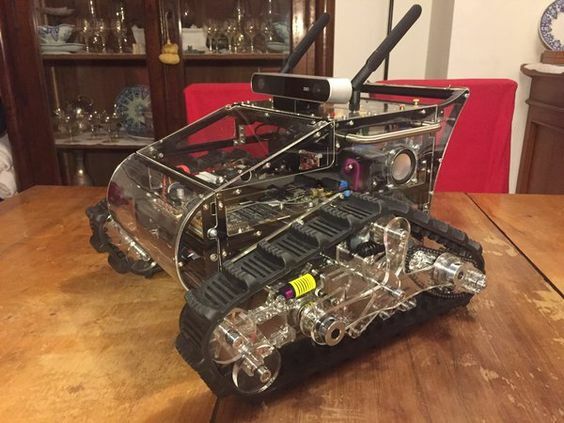 Here is a link to a website all about PANTHER – Code Name: RUDE.